No … that’s not Figtree as in a plant but “Figtree” as in the town in New South Wales near Wollongong. Susan met Gale and Trevor 2 years ago on a trip with Mom to Eastern Europe and they committed the ultimate folly … they said, “Come visit”. Mark and I did! 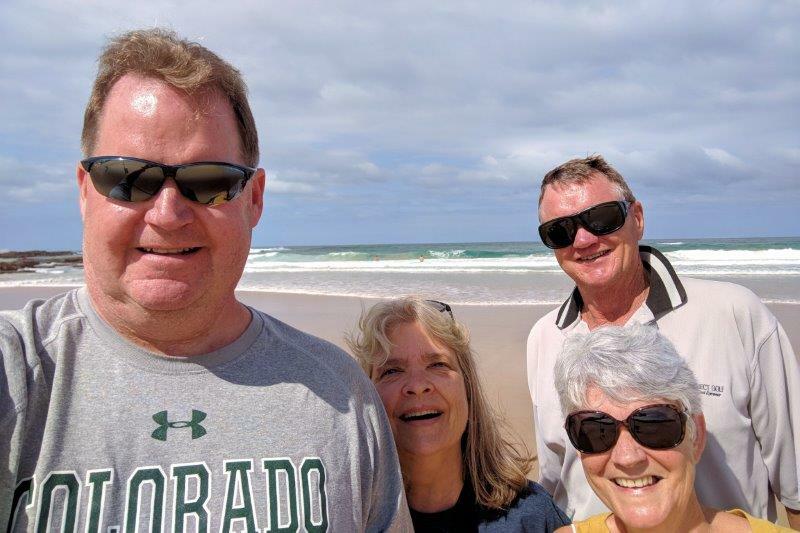 We spent 5 days with them and had a marvelous time seeing some sights and watching the Commonwealth Games on TV while sipping wine. 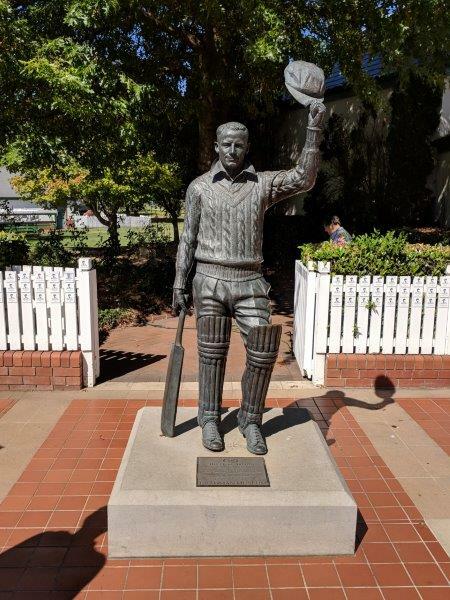 One day we took a drive up in the Southern Highlands of New South Wales where we checked out Fitzroy Falls on a short walk and paid homage to Sir Donald Bradman of cricket fame in Bowral. His house has a plaque on the fence; it’s easy to see where people tread on the grass to take pictures! 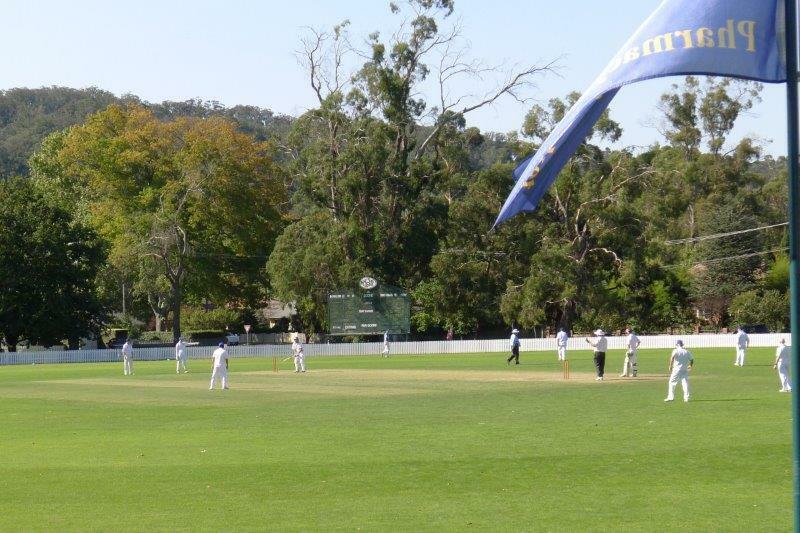 Two local cricket teams were playing a Sunday afternoon match. I don’t know much about cricket, but it was evident, even to me, that one of the bowlers was really bad and was going to be buying the beer after the match. We watched a bit of cricket – think baseball but with only 2 bases to run back and forth between with a 360 degree playing field. 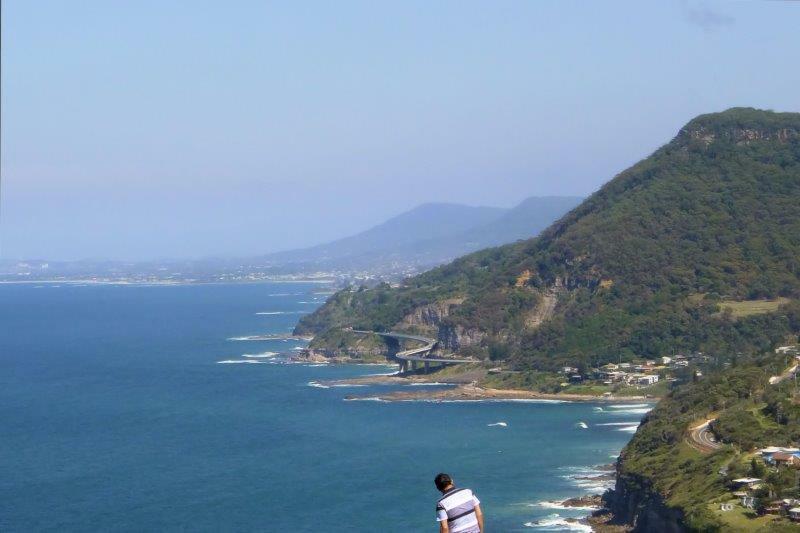 The coast around Wollongong is beautiful and it’s easy to see why so many people want to live there and will even deal with the terrible commute to Sydney every day either by car or train AND why the house prices have shot up! 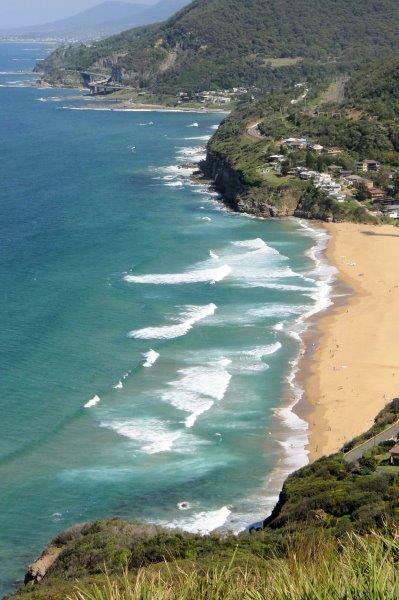 This beach is near Wollongong. The water was a bit chilly for us when we got to a beach where we put our feet in. 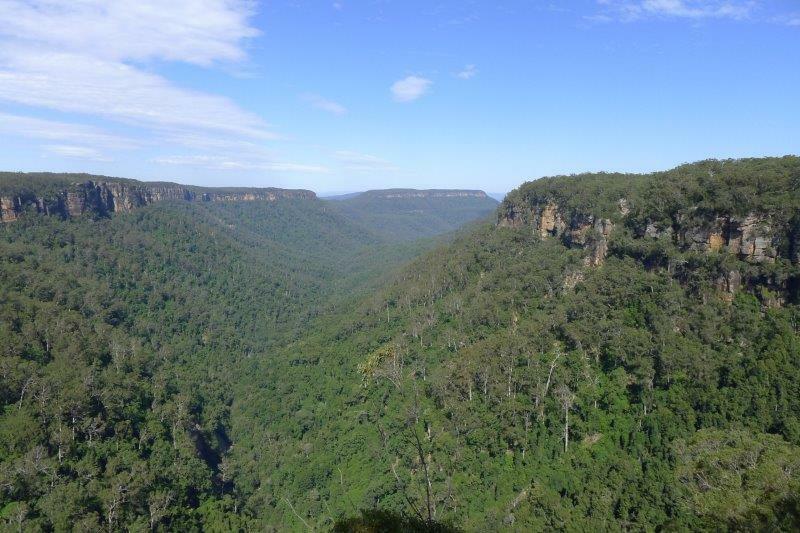 This escarpment runs from Sydney down the coast. 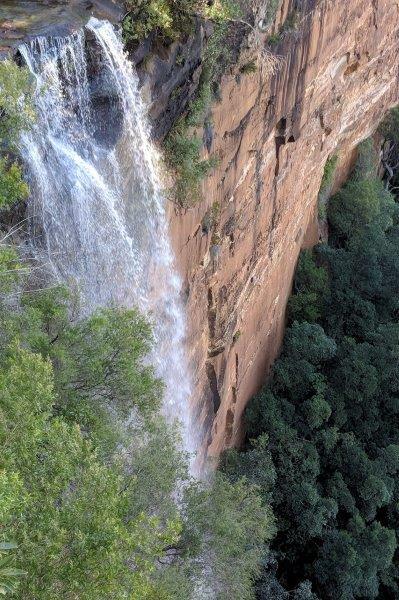 Australia seems to be enamored with “big” things. In a previous trip we saw the Big Merino, and a Big Avocado. 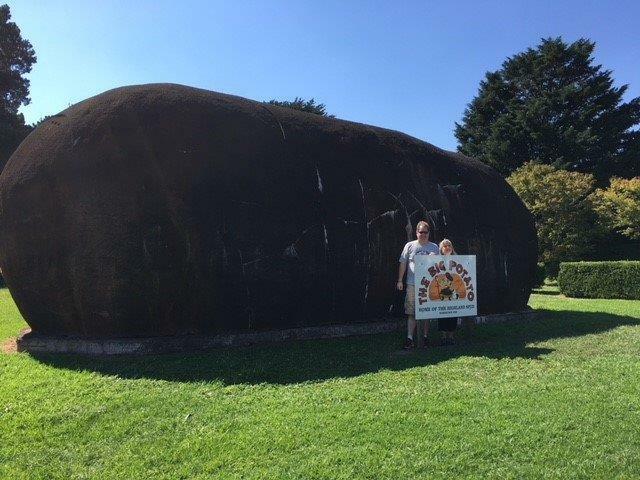 Gale and Trevor made sure we had our picture taken in front of the Big Potato in Robertson. The meat pies for lunch in Robertson were way better tasting than the Big Potato. We’ll leave it to your imagination as to what other names that spud gets! There’s no choice but to pose in front of the Big Potato! 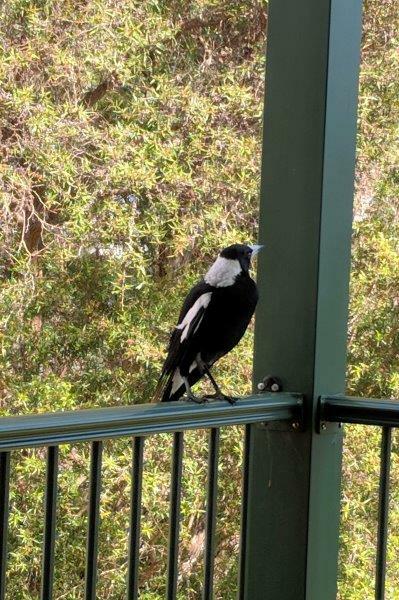 This magpie visits Gale and Trevor every day. 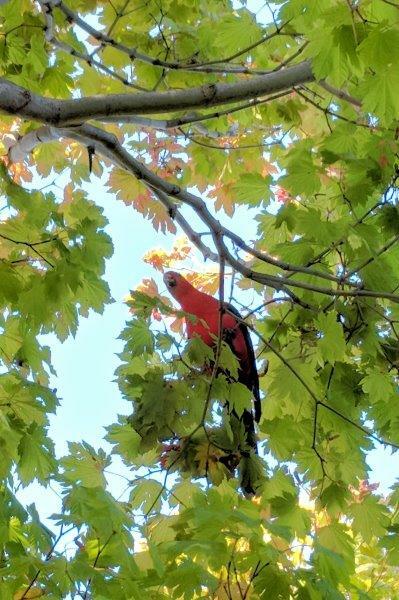 Australia has some beautiful birds. 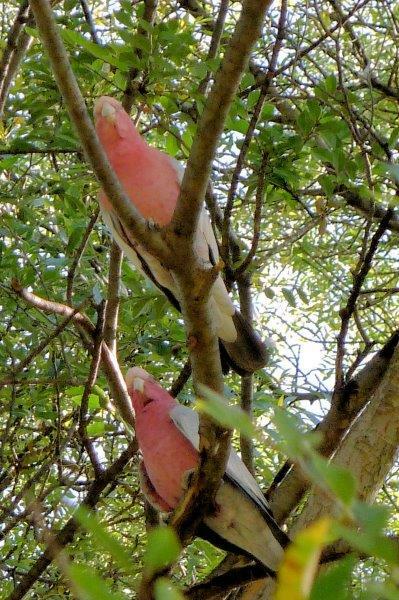 These are Pink and Grey Gallas just hanging out in a park. 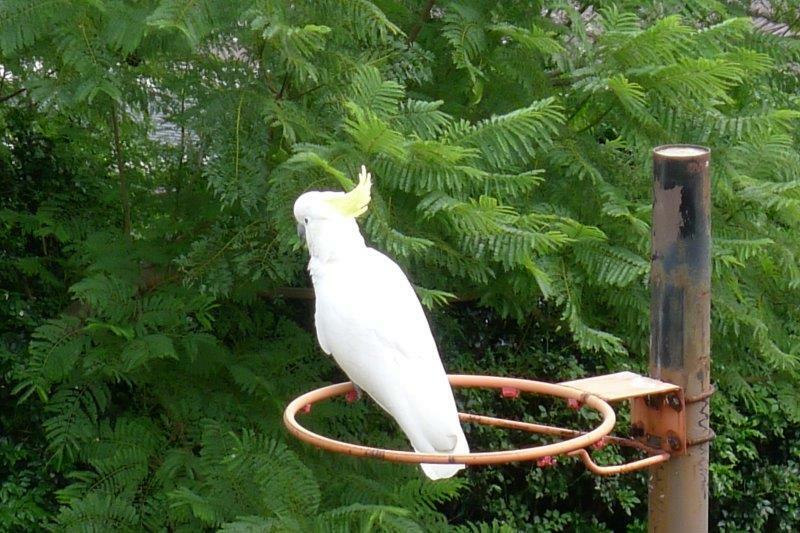 Sulfur-crested cockatoos are everywhere. They are incredibly loud and destructive, ripping leaves off of trees at will. We still think they’re beautiful.